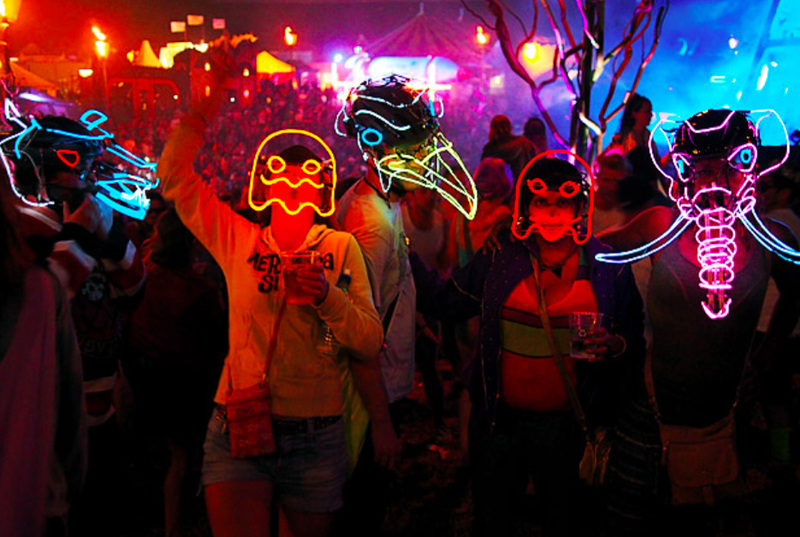 Possibly one of the UK’s most unique festivals, Boomtown Fair, comes to London to celebrate the summer season. 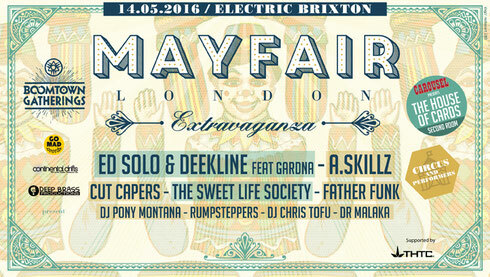 Part of the ‘Boomtown Gatherings’ parties, the Mayfair London Extravaganza will takeover Electric Brixton this Saturday, 14 May. Continental Drifts, GoMad Events and DeepBrass Prod and all the team behind Boomtown’s Mayfair Avenue, will host the experience featuring some of their favourite acts including Deekline & Ed Solo feat Gardna, A.Skillz, Cut Caper Live Band, The Sweet Life Society, Father Funk and more, with plenty of characters to bring the craziness, glamour, glitter, circus and performers that have possibly dazzled Boomtown Fair. Expect an indoor party of live music and DJs with themed areas including a cabaret casino, interactive areas with eccentric walkabout performers and beauticians on hand ready to remodel clubbers into the characters they’ve always wanted to be. Check www.electricbrixton.uk.com for more info.